If it's rainy here on Sunday afternoon (I'm in Seattle, so it's likely!) 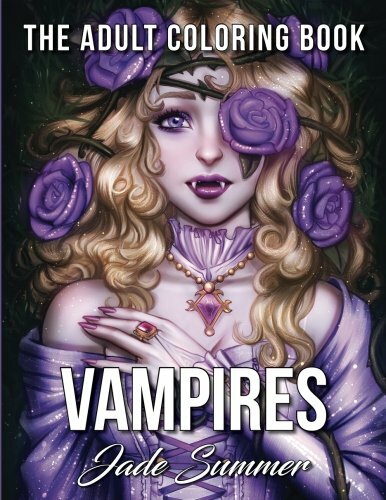 I am tempted to spend an afternoon in front of my fireplace, pot of blackcurrant tea by my side, cheerfully coloring an illustration or two from Vampires: The Adult Coloring Book. Perhaps as the evening begins, I'll switch from tea to bourbon! This coloring book is by artist Jade Summer, who also created an intriguing Grimm Fairy Tales adult coloring book. I'm tempted to add that one to my library as well! You can visit Jade Summer's official page here.